Follow these simple steps and that ideal property in Bulgaria will be yours. 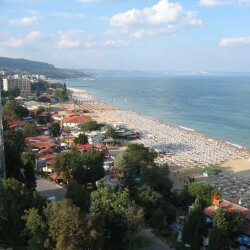 Before you fly out to Bulgaria, spend plenty of time researching the market online. Go through all of the information in the Bulgarian section of this site and then start looking for developers, agents or individual properties that look as if they might be interesting. The Bulgarian Listings section of the site is probably the best place to start your search, but also check out the advertising in this section, and look at the Directory to get some more contacts. Although it is possible to arrange financing in Bulgaria through a Bulgarian bank, you will probably find it a lot easier to obtain financing in your home country, perhaps by re-mortgaging your current property or properties. Another option is to discuss the possibilities with a mortgage broker who is based in your home country and has experience of arranging mortgages on property overseas. It is advisable to do this before heading out to Bulgaria so that you have a firm idea as to what your maximum budget is going to be. If you spend all your time over there looking at properties around EUR150,000 and then come back and find that the maximum amount you are able to finance is EUR100,000, your time will have been wasted. Use the Budget Flights Tool to work out the most affordable way of getting to Bulgaria and then head out there to look at those properties that look most interesting for you. Check the properties, or the locations if you are looking at an off-plan property. Don’t just check the properties themselves; check out the areas that they are located in as they will all be new to you. Ask plenty of questions. Unlike most of the territories that we cover on Propertastic! where foreign buyers are still fairly rare, such has been the success of Bulgarian in attracting overseas property purchasers that there is a good infrastructure of companies within the country that specialize in helping potential purchasers through the buying process. If you are considering buying through one of the reputable and experienced companies in this field, they should be able to provide you with a service that will take you through all of the legal side of the buying process. However, if you have any doubts at all about the real estate company that you are dealing with, then it could be better to appoint your own independent lawyer to represent your interests – and your interests alone. If you shop around, you may also be able to obtain all of the legal help that you need from an independent lawyer at a lower price than the one charged by your real estate agent. It is not advisable to try handling all of the legalities yourself as the country is known for having the potential for problems with property titles, meaning that it can be difficult in many cases to ascertain exactly who owns the property. You can find details of Bulgarian Lawyers in the directory section. One other advantage of using a lawyer or the services of your real estate company is that, by giving them ‘Power of Attorney’, they will be able to sign legal documents on your behalf. This can offset some of the costs if it means your having to make one less trip to the Bulgaria in order to complete the buying process. If you do decide to employ the services of a lawyer or to have your real estate provide the same level of services, reckon on paying around EUR1,000-1,500 in fees. Another service that your lawyer or real estate company will be able to provide for you should you need it is the formation of a Bulgarian company. Under Bulgarian laws, foreigners are able to buy property in the country, but they are unable to buy land. If you are buying an apartment, this is not going to be a problem and you probably don’t need to form a Bulgarian company. However, if you are buying a house or villa, then buying it through a Bulgarian company is going to be your only option to buy the property freehold. One other advantage of buying property via a Bulgarian company is that there is no VAT payable, resulting in a saving of 20%. It does, however, mean that accounts will need to be submitted annually and so you will also need to employ the services of Bulgarian accountant. The costs involved informing a Bulgarian company are around EUR400-800 and the process takes around four weeks in total. You will need to provide around EUR2,600 in starting capital. This can be used toward to cost of purchasing the property, however, and so you are not going to be out of pocket by that amount. Whereas in markets such as the UK, the initial price is known as an ‘asking price’, with both the buyer and seller expecting the final sale price to be somewhat lower than this, don’t expect the same in Bulgaria. There’s no harm in trying to negotiate a reduced price, but sellers here usually expect to get the full amount. Make sure you know exactly what costs are covered in the final selling price to avoid any nasty surprises further down the line. Typically, both the buyer and the seller both need to pay the estate agent for their services. Many of the real estate companies that specialize in selling Bulgarian property to foreigners charge daily fees for helping show prospective purchasers around, which are fully redeemable if the purchaser buys a property through their company. Typical costs for real estate agents are around 3-6% of the total purchase price with a minimum payment of around EUR500-3,000. The seller will pay a commission of roughly the same amount. The seller should also be responsible for paying 20% VAT. If you haven’t already arranged financing in your home country, you need to arrange it locally. If you’re going to be buying off-plan, then check with the developers to see if they can recommend a local bank. The same thing goes if you are going to be buying through one of the established real estate agents catering for foreign buyers. If not, you’re on your own. Check out the links to Bulgarian Banks in the directory section. The process of obtaining a mortgage in Bulgaria from a bank is going to be similar to that in your home country. They are going to see some proof of income before committing to a loan, so make sure that you bring all of your important documents with you to a meeting with a bank. Expect to have to wait for a minimum of a week or two in order to get a final decision from the bank, perhaps longer. As with all contracts in Bulgaria, this will need to be signed in front of a notary. Typically, your lawyer or real estate agent will take around a month or a little longer to complete property checks with the Land Registry Office before preparation and signature of the final contract. Make sure that this is sufficient time for you to have all of your funds in place to complete the purchase because, if you aren’t ready to complete the purchase on the contracted date, you could very easily lose your deposit. While your lawyer is checking the status of the property, you will now have a certain amount of time to inspect the property. It is not so common in Bulgaria to request for a surveyor to make a full structural report on a property. If the property has been built recently, then a survey should not be necessary as the building will be under guarantee from the builders. Check the property out yourself. Chances are that it will be OK, but if you see anything that could cause you sleepless nights, then perhaps it is worth the money to get the property checked out first. Budget on spending EUR300-450 for a thorough surveyor’s report on a property. You can find details of Bulgarian Surveyors in the directory section. The final contract (or Notary Act) is drawn up by a notary once your lawyer or real estate agent has carried out all of the necessary checks and searches by checking the Land Registry Office which shows the ownership of all property in the country and the seller has provided all of the relevant title documents and permissions for use. Notary fees in Bulgaria vary from one notary to the next and are relatively high compared to most of the developing markets, so you can expect to pay another 1-2% of the entire purchase price altogether in fees up to a maximum of EUR1,800. As a result, it’s worth shopping around to make sure that you get the best deal from a notary and not just assume that they all charge the same price. Naturally you are also going to have to pay the balance of the cost of the property itself. Often this is paid via your lawyer who keeps the money in an escrow account until the sale is finally completed. In addition to paying the balance of the cost of the property to the seller, you will also have to pay Purchase Tax (the equivalent of Stamp Duty in the UK). This is equal to 2% of the property’s value, or rather the declared value of the property. It is quite common for properties in Bulgaria to be sold officially for a lower figure than is actually agreed between buyer and seller. Be wary of agreeing to this, although your buying costs will be lower, you could end up paying a lot more in Capital Gains Tax when you come to sell the property further down the line. You will also need to pay fees for registration with the local entry agencies, which amount to around 0.1% of the purchase price. Once the deed of sale has been signed and the Purchase Tax has been paid to the notary, the change of ownership will then be recorded in the Land Register. Unlike in most territories, however, don’t expect to be able to get the key and start using your property the day of final completion. In Bulgaria, it is normal for the residents of the property to take one month to vacate the premises. If this is going to be a problem for you, make sure that an earlier date is specified in the initial purchase agreement. Congratulations! You’ve just bought yourself a property in Bulgaria! That wasn’t so difficult now, was it? !